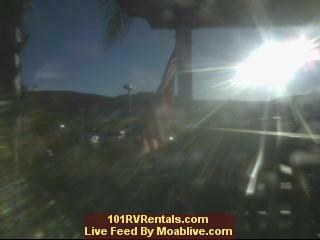 Webcam Number One streams live from Simi RV Rentals and All Valleys RV Storage. Their eight-acre storage and rental facility is located at 850 West Los Angeles Avenue, in Simi Valley, California. Two separate freeway off ramps provide easy access to and from Highway 118. 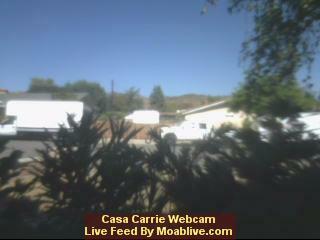 Webcam Number Two is a street view, Live from Casa Carrie in Simi Valley, California. The Camera faces east, towards the rising Sun. In keeping with the ancient Navajo tribal tradition, each morning we face east and share with you our first rays of morning light. Framing the view is a residential street in the Texas Tract at Simi Valley. In the background is Rocky Peak, which separates Los Angeles County from Ventura County.